It’s the morning after a big celebration. New Years, your best friends birthday, a wedding or just a night out. You’ve had one, two.. who knows how many alcoholic beverages. Maybe it was one too many. Regardless, you know that the dreaded hangover may be looming the next morning and ouch.. you had plans for the day after. Whether it’s just a slight headache, a touch of nausea, or a full blown ‘can’t get out of bed’ hangover, you need to do something to alleviate your symptoms. But wait.. You’ve got a couple bottles of kombucha in your fridge and now you ask the question.. what about kombucha for hangovers? Good question. Use kombucha for hangovers and you will find that the “elixir of immortality” does more than just improve your digestive system and get you going. It can also cure what ails you in a time you need it the most. To explain why kombucha for hangovers can be so effective, we first dive in to the reasons why we get hung over to begin with. Ethanol. The key ingredient in your drinks and the cause of your headache, nausea, tiredness, sensitivity to light and overall dehydration. What once gave you fun has now lead you to a day in bed and the desire to never get out of it. Ethanol is a toxic chemical that works as a diuretic – making you urinate more than usual and become dehydrated in the process. The dehydration you experience is the source of the awful symptoms you experience in a hangover. While there are studies showing evidence the 2 drinks per day for men and 1 drink per day for women can have some small health advantages, any excessive drinking can certainly lead to a hangover. There are plenty of ways to prevent the hangover. Not drinking is the most effective. If that is not possible, then try avoiding drinks on an empty stomach, consuming as much water as you do alcohol, or drinking over a longer period of time instead of a lot at once. If you forgot to do all of the above, then you will need to take post drinking measures to get yourself back in to tip top shape as quickly as possible. Kombucha can help. Hydration – Since your body is dehydrated you need to replenish your liquids. Beyond drinking as much water as possible, kombucha can be the addition to your liquid intake that you so desperately need. 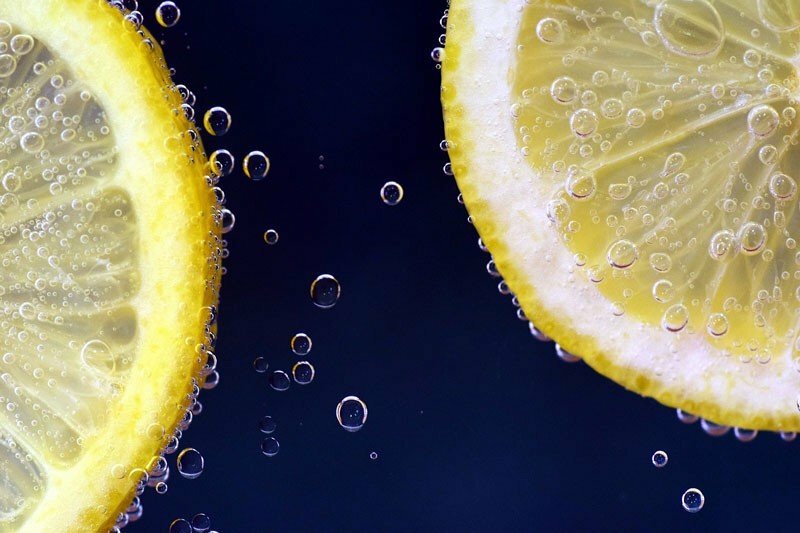 Vitamins – The diuretic properties of alcohol force your body to urinate more frequently, dehydrating your body, but also makes your body lose essential vitamins. Also, it reduces your ability to absorb vitamins. At stake are the vitamins A, B, C, E and K.
Minerals – In addition to vitamins, alcohol inhibits the absorption of minerals such as Magnesium and Zinc. Detoxification – Alcohol is a powerful toxin that remains in your body for days. Withdrawal symptoms are evident in your hangover and it is essential for your body to detox. Stomach Relief – Alcoholic beverages of any kind can be hard on the stomach. They often lead to bloating, stomach cramps and indigestion. Water is probably your best friend here. However, if the thought of chugging back another glass of H20 makes you even more nauseated, then kombucha is a nice change of pace. It will replenish your liquids while working for you in many other ways that water can not. It’s refreshing and just what you need without a huge intake of sugar. So you can pop a bottle of kombucha and let that fizzy sour goodness fight the battle for you. Kombucha and all fermented foods for that matter contain a high amount of B vitamins which are essential in your recovery period since they are at the most risk when drinking. In addition, kombucha contains vitamin C which is also important to have the morning after. Keep in mind this is just kombucha in it’s raw form. To really bump up the hangover curing properties, we suggest adding even more hangover recovery items to give a stronger effect. See our recipe for the Tumeric Tonic which contains lemon (high in vitamin C and essential acids) and tumeric which his highly regarded for it’s anti-inflammatory and antioxidant properties. Throw in some ginger in to the mix (which has often been used to alleviate nausea) and you have yourself an effective hangover elixir! In analysis of kombucha’s nutrient properties studies have found traces of Zinc, Copper, Iron, Magnesium, Nickel and Cobalt. While this is by no means a significant amount, it is certainly a welcomed addition to your body that has been deprived of Magnesium and Zinc. Since your body is overwhelmed by toxins in alcohol it is useful to consume something that aids in detoxifying your body. Kombucha is proven to be a strong antioxidant due to the black or green tea that is used. Needless to say, the higher quality the tea, the higher quality the antioxidant properties. In addition to the powerful effect of tea, kombucha contains a high amount of Amino acids, vitamins B2, B6, & C, acetic acid, lactic acid, and active enzymes which all are powerful in giving your body the detox it needs. Your stomach has likely been through a rough night and experienced some form of discomfort and indigestion. Luckily one of kombucha’s best strengths is its probiotic benefits. With millions of good bacteria being destroyed in your stomach, you need to replenish them and balance your gut flora. Kombucha is a perfect solution to inject these probiotics back in to your system and get you back to a regular digestive schedule. Probiotics have been shown to help metabolize alcohol and stabilize the balance of bacteria and yeast in your stomach. It’s a home run for your recovery. The lack of quality sleep that you experience leaves you tired, groggy and in a bad mood the following day. It makes you want to sleep the whole day away which would be an absolute shame. Fortunately, kombucha contains caffeine and can give you that small boost to get your day going. The amount of caffeine is light enough to get you up but not as powerful as coffee which may lead to more nausea or hurt your stomach. It will also get your digestion back on track which will improve your appetite. Getting food in your stomach is essential to restoring your energy levels and get back to 100% even quicker. On top of that, kombucha has a trace amount of alcohol which can actually help alleviate symptoms. A hangover is essentially a withdrawal and consuming a tiny amount can temporarily help with headaches and nausea. Since it is such a small amount of alcohol it should not worsen your condition, just don’t follow that up with more alcohol! Before you retire to bed from a night of drinking you can also prevent the hangover with kombucha. All of the benefits stated above are even more effective as a preventative measure and can work for you while you sleep. A glass of water and a glass of kombucha is a sure fire way to helping you feel yourself the next day. So knowing this, you should always have a few bottles of kombucha for hangover in your fridge at all times in case you need it! And since kombucha is such a versatile beverage for you health, why not have lots of it available at all times 🙂 So buy a few large size bottles from your grocery store, or, start brewing your own to save money, improve your health,wellness, and prevent/cure hangovers! 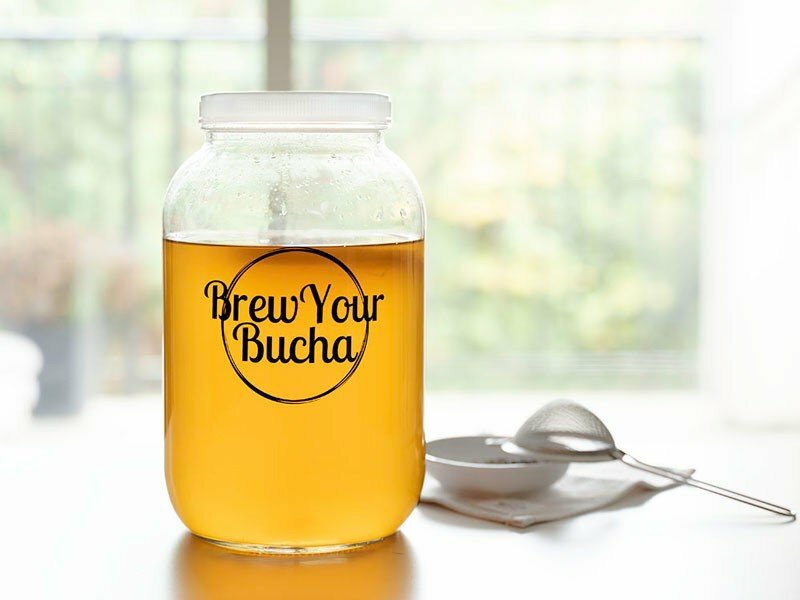 If you want to start brewing and need more information on our Kombucha Home Brew Starter kits, please visit our shop. If you have any questions, feel free to chat with us in our 7 day a week live chat (the orange guy in the bottom left corner) where we can answer any questions you have regarding kombucha, health, kombucha for hangover, and home brewing. If you are new to the blog, don’t forget to sign up for our Kombucha Newsletter where we offer some free gifts, take away content, and blog updates. Sign up in the footer below!